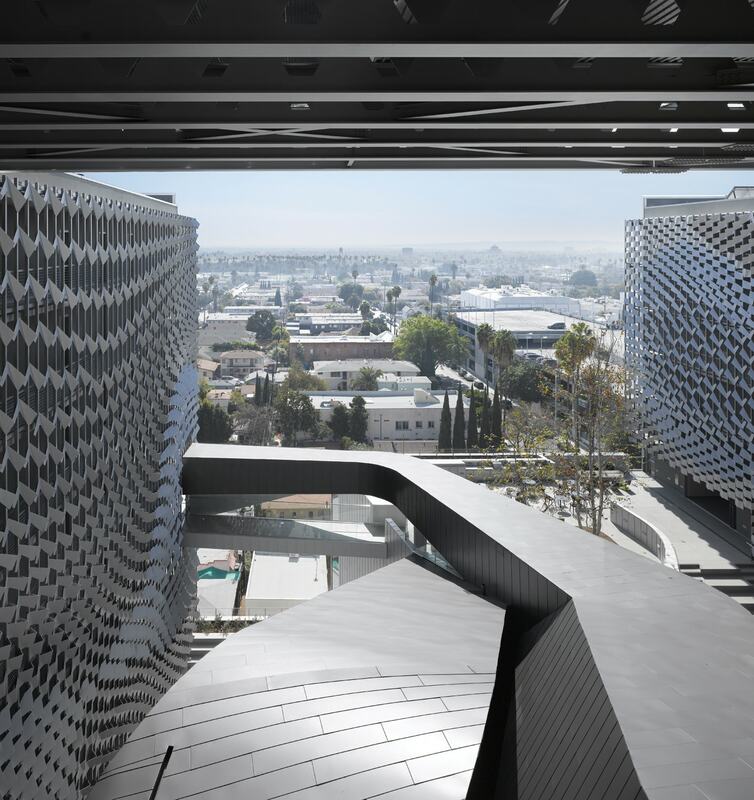 The new Emerson College campus in Los Angeles provides a landmark for film and performing arts students of the Boston-based college to study in an immersive environment. 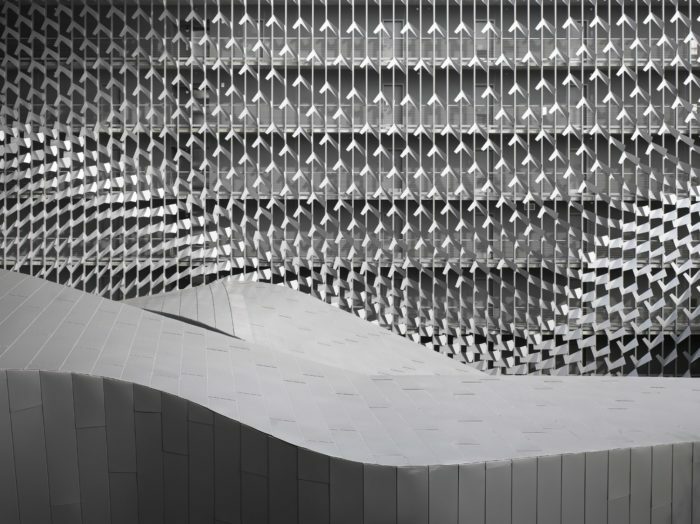 The innovative design by Morphosis provides an integrated and efficient experience for both visitors and students. 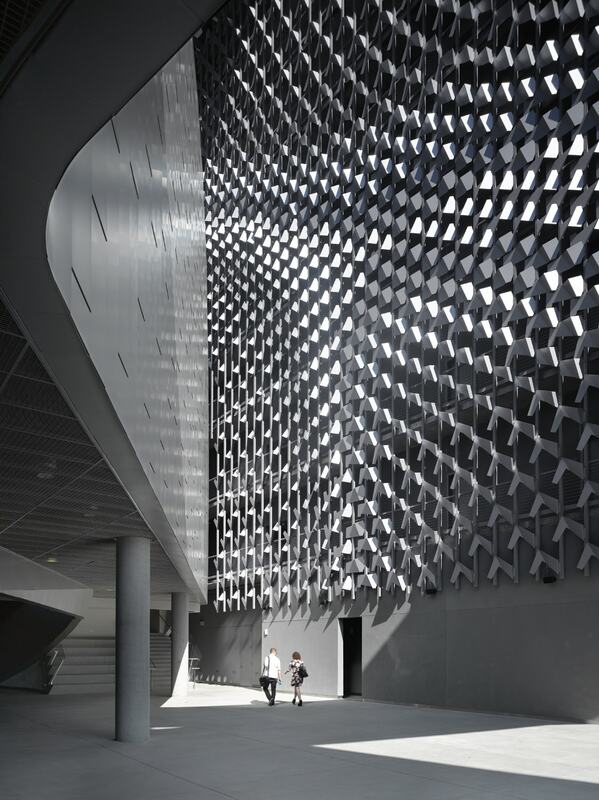 Wallace Engineering provided structural engineering services for the design of ZEPPS wall panels and perforated skin systems for Emerson College LA. 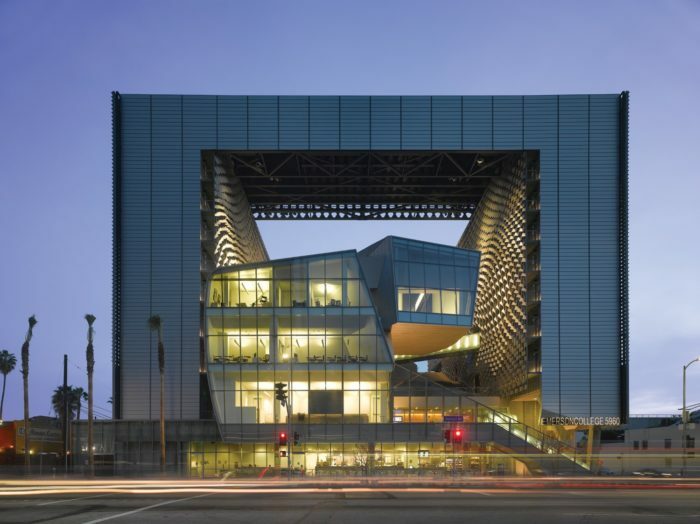 The environmentally-sustainable building features wired classrooms, an open-air screening and live performance space, a Dolby Surround 7.1 audio post-production suite, a 4K screening room, computer labs, mixing suites, a planned green screen motion capture stage, offices, 217 dormitory beds and parking. The building achieved a LEED Gold certification and received a GOOD Green Design Award in 2016 from The European Centre for Architecture Art Design and Urban Studies and The Chicago Athenaeum: Museum of Architecture and Design.